This morning was a bit out of the ordinary; KP and I had a meeting to go over some pitch notes (look at me all “industry” and having pitch note meetings :)). I got a babysitter and drove down to Venice and everything; KP met me there from work. Before the meeting – and alone, without the kids – we quickly grabbed coffee together and I commented to KP how, in a way, it kind of felt like a weird sort of date for us. A morning business date, maybe? Either way, it was alone time, just us, no kids, where our main focus was on being adults and a couple, and not being parents. What our “at-home date nights” unfortunately usually look like. 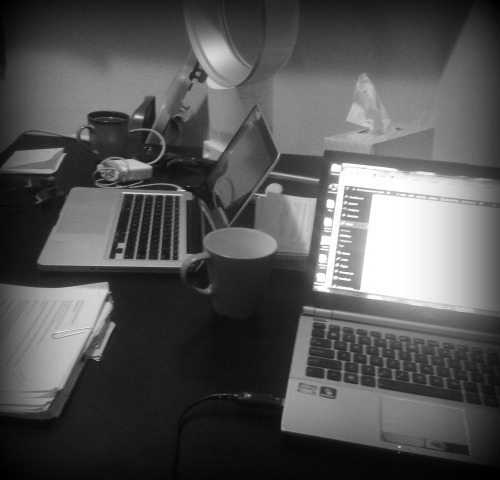 I think the last time we hired a babysitter for a date night we went to a coffee shop with our laptops to work together. I don’t even remember the last time we had a “proper” date night. Is that pathetic, ha ha? 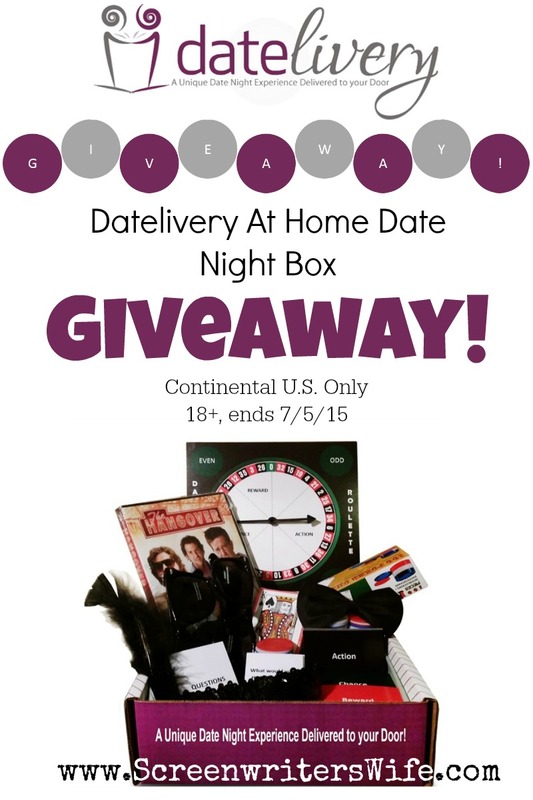 However, last month, I discovered that there are companies out there that offer At-Home Date Night SUBSCRIPTION BOXES! Which is just plain awesome because then you really don’t have to think about anything at all and date nights magically show up on your doorstep! After surprisingly finding eight date night subscription box services out there, I wrote a post listing the specifics of each (check it out here: there’s some cool offerings out there!). One of the date night box services, Datelivery, in celebration of their 24 month (or 2 year) birthday is giving out 24 FREE BOXES….AND…wait for it…they chose ME (yes, little ole me) to be one of their 24 bloggers to host a GIVEAWAY for one of the boxes!! How awesome is that, right? I know. It’s awesome; I love giveaways. And I love subscription boxes. And date nights. At home. In a box. It was basically win-win-win-win-win. Yeah, except it gets even awesomer. 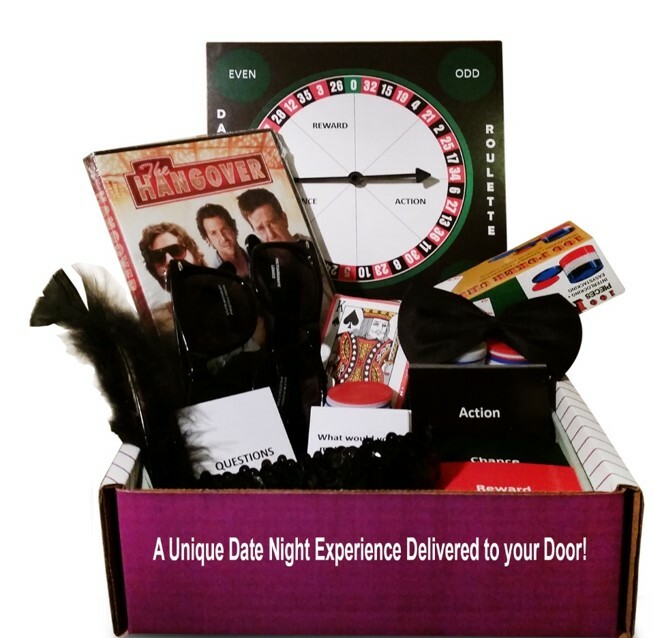 On top of getting to give away a date night box for free, I also get to give a special 20% off discount code to anyone who ‘name drops’ my special code when ordering a monthly subscription. I’m totally becoming a legit blogger, here, folks! One cool thing about Datelivery at home date night boxes is that 3- and 6-month gift subscriptions come with a free $50 credit to CanvasPop to be used toward any canvas print. I’m not positive if my discount code will work with this offer, but if so, that would be pretty cool as a wedding or anniversary gift! Want a date night with your significant other, but don’t want to plan anything for it, or have to leave the house? (it’s not laziness; it’s economical 🙂 ), Then check out Datelivery. Or, if you’re not sure if you’re willing to commit yet, might I at least entice you to enter my giveaway below for a free date night box? Hey, you can’t beat FREE! This giveaway will end Sun. 7/5/15 at 11:59pm PST. Good luck to everyone; I hope YOU win! I really like the cookie making date night. We love to bake at our house so this seems perfect. I like Carnival Date Night because my boyfriend and I love watching movies and eating snacks! I think their previous box for New Years Eve looks fun! What a fun idea!!! What will they think of next with mailing ideas?? I would pick cookie making! I like the Cookie Making Date night. I love to bake with my husband and this just looks like it would be so much fun to do together. My 2 favorite boxes are Carnival Night and Casino night. But they all look fun so far. I like the Casino night viva Las Vegas box. We recently visited our first casino together while on vacation and we both love the Hangover so that is why I like this past box the most.